The Dominican Republic is full of white fine sand beaches that caress turquoise blue waters as well as exuberant Caribbean vegetation that inhabit all corners of the island. These motifs have been heavily incorporated into the Grand Palladium Punta Cana Resort & Spa’s architecture. With spacious rooms with a light modern decor that facilitates relaxation, the resort is among the best on the island. All rooms are equipped with a hydro massage bath, furnished balcony or terrace and all the necessary amenities that are required to have a peaceful vacation. The resort’s facilities invite guests to stay and enjoy disconnecting from daily life and work, thanks to its four outdoor swimming pools, a spa, casino, sports courts, organised activities and the day & night entertainment offered by the hotel. If guests travel as a family, they can take advantage of the special facilities for children and adolescents, such as the children's pools, the mini-club and the junior club, the mini-disco and all the activities organised for the youngest members of the household. 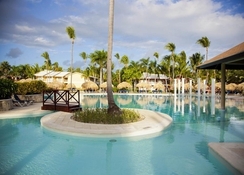 Grand Palladium Punta Cana Resort & Spa is located in the area of ​​Grand Palladium resorts, on Playa del Cortecito in Punta Cana. With incomparable landscapes, dreamy beaches with white sands and crystal clear waters, the natural environment of the hotel is typically Caribbean. Eight minutes by car is the main road that runs along the coast, which takes half an hour to Punta Cana. The Punta Cana International Airport is 23.2km from the hotel. Grand Palladium Punta Cana Resort & Spa has over 535 rooms of various categories, all with a fabulous bathroom with hydro massage bath, hair dryer and luxury amenities. They also feature a safe, telephone, minibar, tea & coffee maker, iron & ironing board and radio alarm clock that can also play MP3. In all rooms there is air conditioning and a ceiling fan for greater comfort of the guests, television with satellite channels, and a large terrace or balcony with table and two chairs in which to enjoy relaxing moments overlooking the pool, the sea ​​or the gardens surrounding the establishment. All the rooms are decorated with soft cream tones, with furniture so that customers feel at home. The hotel lets you enjoy eight a la carte theme restaurants, such as Tapeo, La Parrilla, Rodizio or Trattoria, and five show cooking restaurants with large terraces where you can treat yourself to international cuisine. In the five bars of the hotel you can have refreshments, drinks, drinks of all kinds and snacks while enjoying the pool, the beach or the broadcast of a game on the big screen. 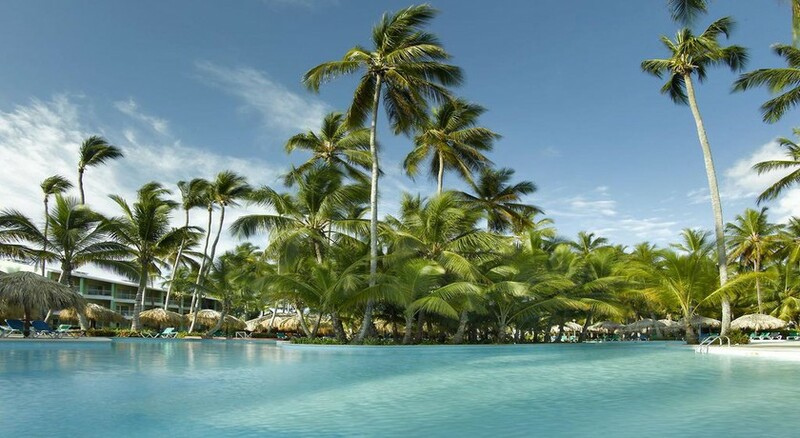 Grand Palladium Punta Cana Resort & Spa is home to Zentropia Palladium Spa Wellness, a complete Spa with swimming pools with hydro massage showers, Jacuzzis, sauna, steam bath and a wide range of treatments and massages to pamper the body and soul. For exercise and entertainment, the hotel also has a large gym with modern machines, badminton courts, tennis, paddle & petanque, soccer fields and beach volleyball, as well as rooms with table tennis, darts and billiards for adults. Numerous sports and leisure activities are organized every day in the hotel facilities, such as aqua-gym, windsurfing, diving and snorkelling excursions and catamaran courses. 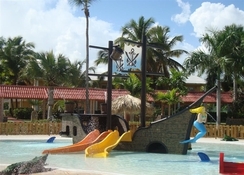 Special attention is also paid to families with children, who can enjoy special activities for them, the Miniclub, which has a children's pool with waterpark, lounges with indoor games and gardens and outdoor parks. There is also a Junior Club for teenagers.